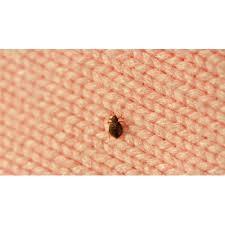 Excrements of bedbugs on the bed or the walls near the bed: small dark flecks (comparable to fly dung or dirt) leaving brownish trails when washed with a wet towel/rag. 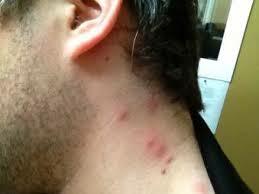 If you do not react to bites, and in highly infested regions you should check circa every month if such flecks are not accumulating near the bed. 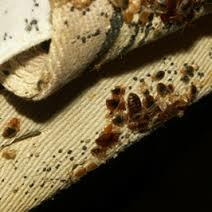 Put adhesive traps (e.g. 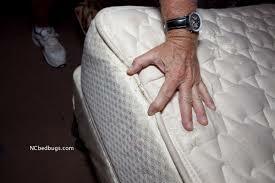 the product ``Trappit'') near the bed, or even inside it. 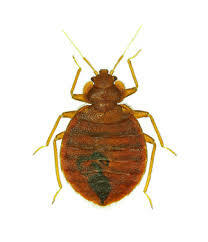 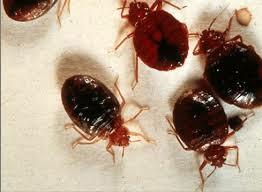 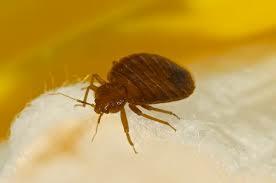 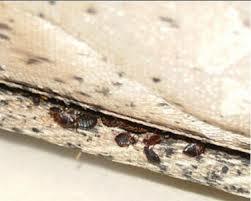 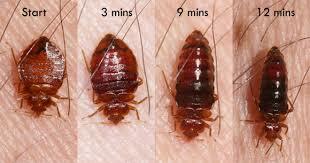 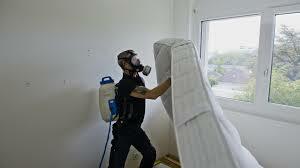 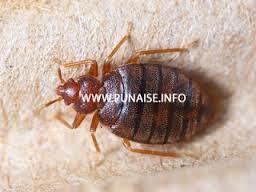 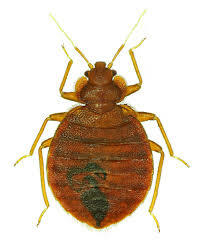 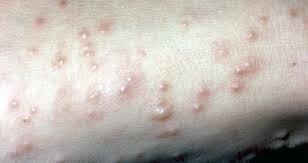 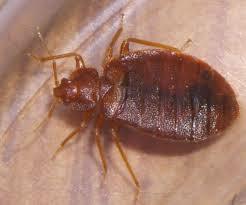 Those allow the capture and counting of bedbugs to give you a quantitative idea of the size of the infestation. 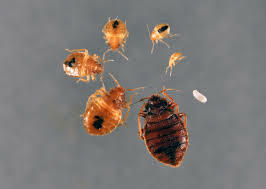 One may place about 10 traps around each infested bed to accelerate the capture of unfed specimens outside the protected bed. 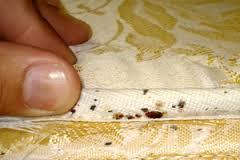 Bedbugs are very clumsy (if not incapable) at climbing smooth polished vertical surfaces. 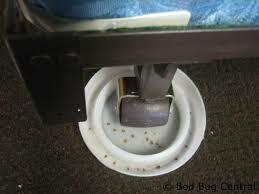 Hence, place on stainless steel cans/basins/bowls for instance cleaned tuna cans under the bed feet. 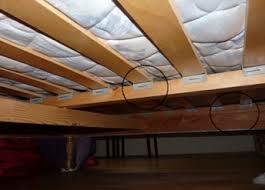 One can glue aluminium sheets along the bed legs. 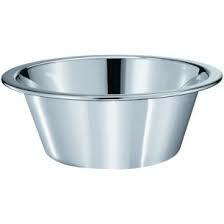 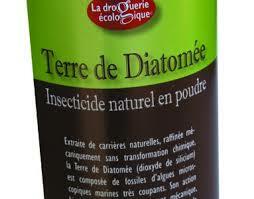 As shown on the figure below, one can insert the protecting cans inside larger cans (metal or tupperware), and fill in a thin layer (5 mm) of oil (alimentary or cosmetic) inside the larger can so as to suffocate any ``transgressing'' bugs. 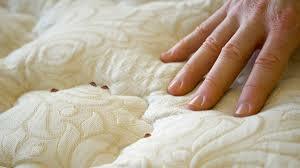 So bed legs stay clear, offering the option to steam the boxspring from all sides, without flecking the floor with oil.